A fat chair collection that features oversized round backrests that hug your body no matter how you sit. Sometimes chairs can offer you more than a seat, and in the case of FAT, it will cuddle you. Designed by Tom Dixon, the FAT chair collection features oversized round backrests that hug your body no matter how you sit. The range includes a dining chair, lounge chair, and bar stool, each with the same minimalist components and cartoon-like form. The FAT chairs comprise molded foam cushions that are upholstered to your preference and legs made from high gloss black lacquered metal. They’re made in Europe where they’re hand-finished and upholstered by quality craftsmen. 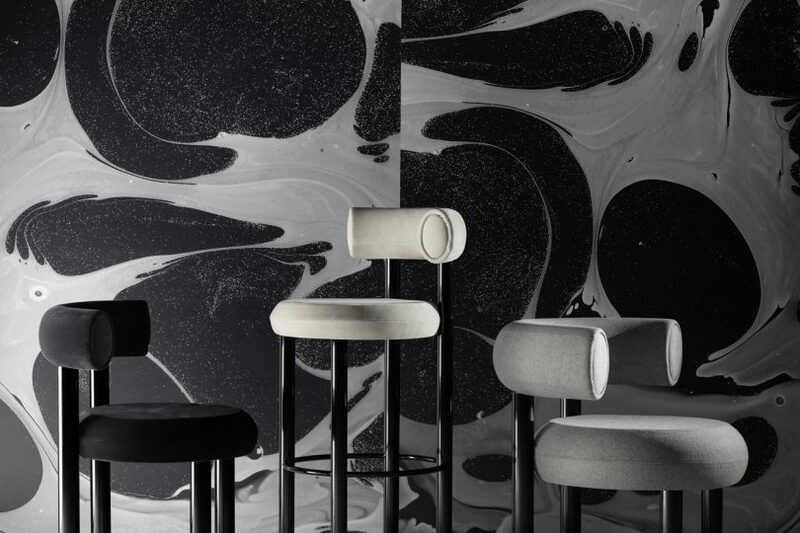 FAT will be featured at The Manzoni restaurant designed by Tom Dixon’s Design Research Studio that will launch in April for Milan Design Week.